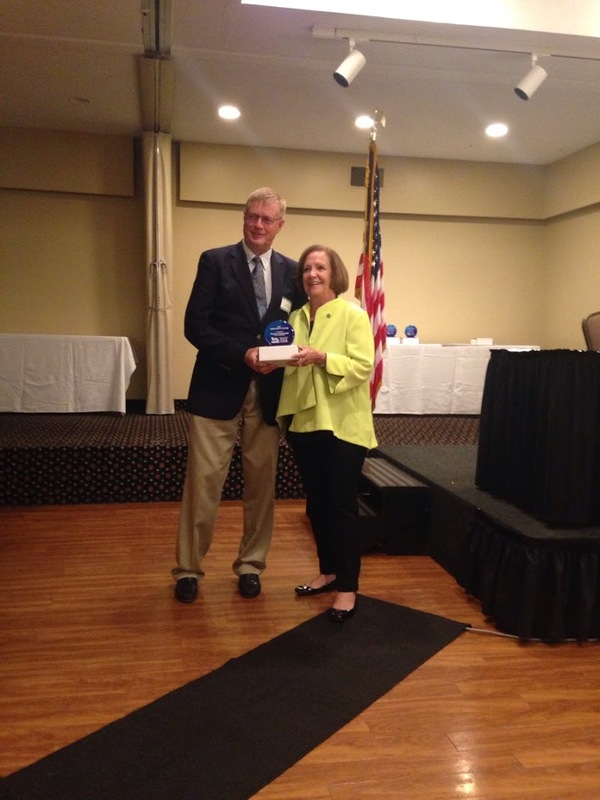 Springfield – Norine Hammond, State Representative was recognized and awarded as the 2017 Legislator of the Year at the 69th Annual Meeting of the Association of Illinois Soil and Water Conservation Districts (AISWCD) held recently in Springfield. State Representative Norine Hammond represents the 93rd District in the Illinois House of Representatives. The district encompasses all or part of 8 counties including; Knox, Fulton, Warren, McDonough, Schuyler, Cass, Brown, and Mason. Her legislative priorities are based on the concerns and issues as they relate to the residents of Central and Downstate Illinois. She represents the State of Illinois on the Council of State Governments Agriculture Committee and is a member of the Board of the State Agriculture and Rural Leaders (SARL), a group of legislators from throughout the United States and 8 Canadian Provinces focusing on agriculture issues. In presenting this award, we thank Norine Hammond, State Representative for her dedication, and providing support to the SWCD.